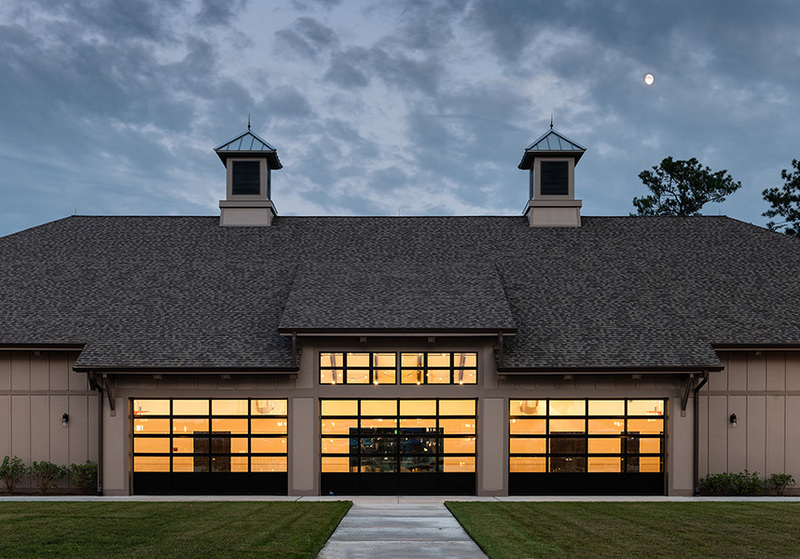 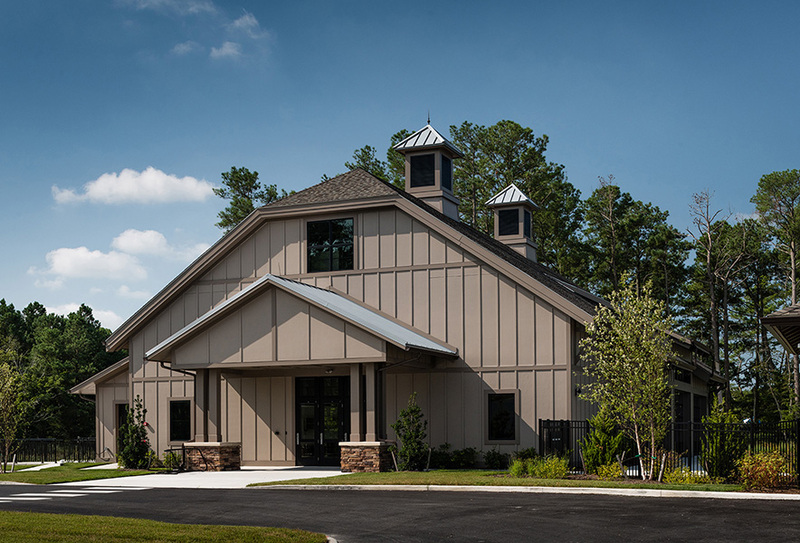 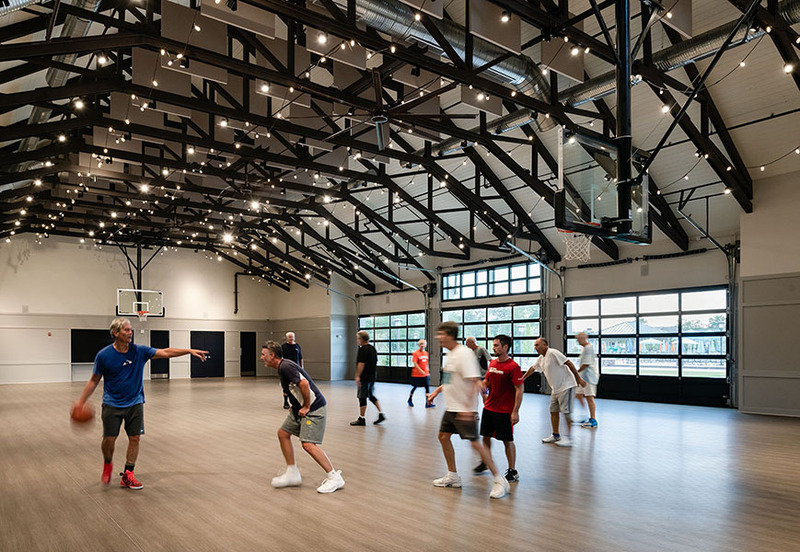 Designed as the centerpiece of a growing Eastern Shore residential community, the Bay Forest Clubhouse and Recreation Barn provide a host of fitness and wellness options for residents. 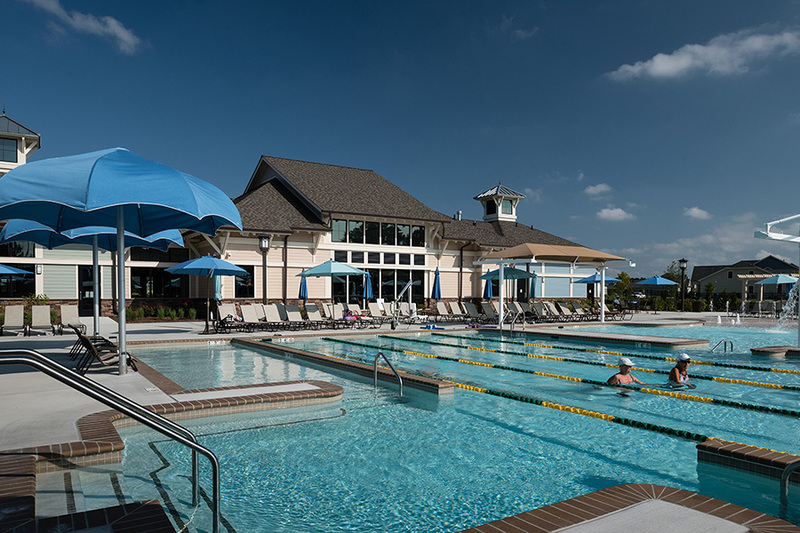 Architecture, Inc. adapted a design concept to accommodate a fitness center, recreation barn, pool and a large patio area, as well as support buildings to house pool equipment and community mailboxes. 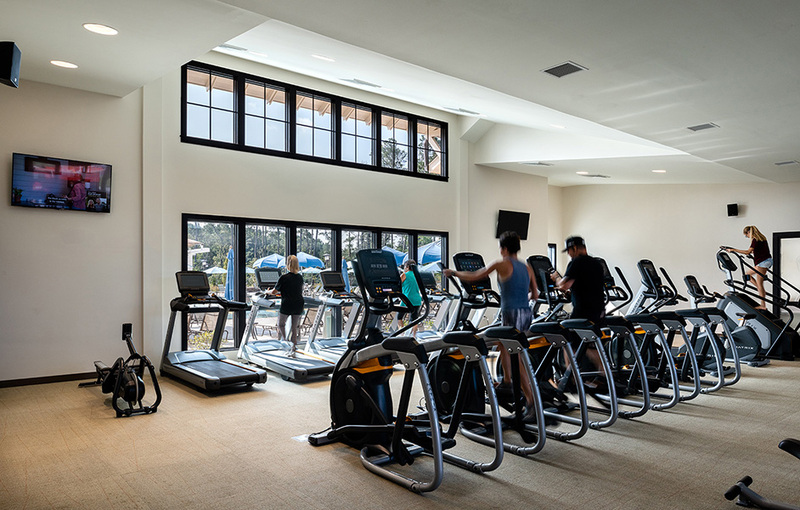 The 7,000 sf fitness center includes a main lobby and locker rooms, state-of-the-art equipment, and an aerobics/yoga studio. 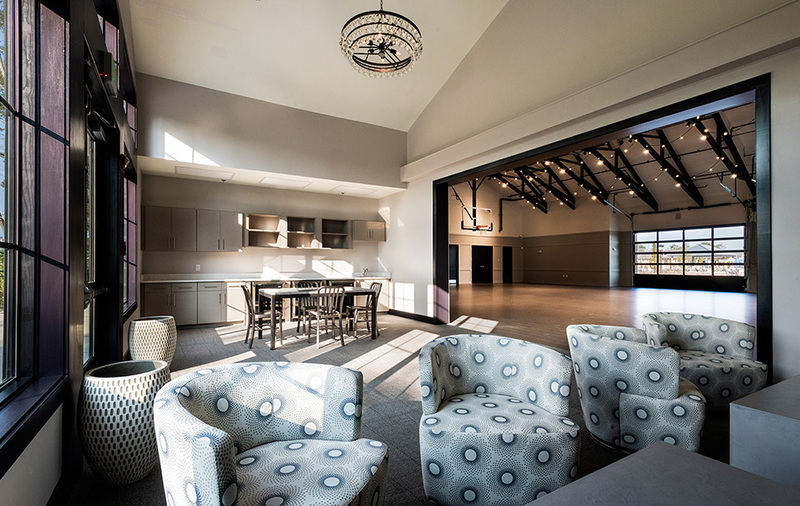 The 7,500 sf recreation barn is a flexible facility that can support a variety of activities and is easily convertible to an indoor/outdoor venue. 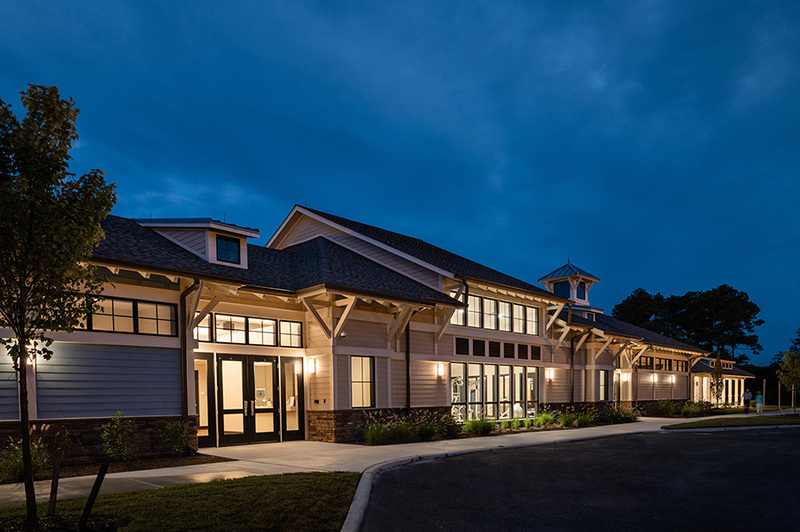 Aesthetically, the amenity buildings reflect the casual Eastern Shore style with wood clapboards, raised seam metal roofs, and a soft color palette than enhances the community.